Martin doesn't like change. He lives with his unchanging family in an unchanging street where no one and nothing really changes that much. Until Mr Flux comes to town. Mr Flux LOVES change. He lives and breathes it. 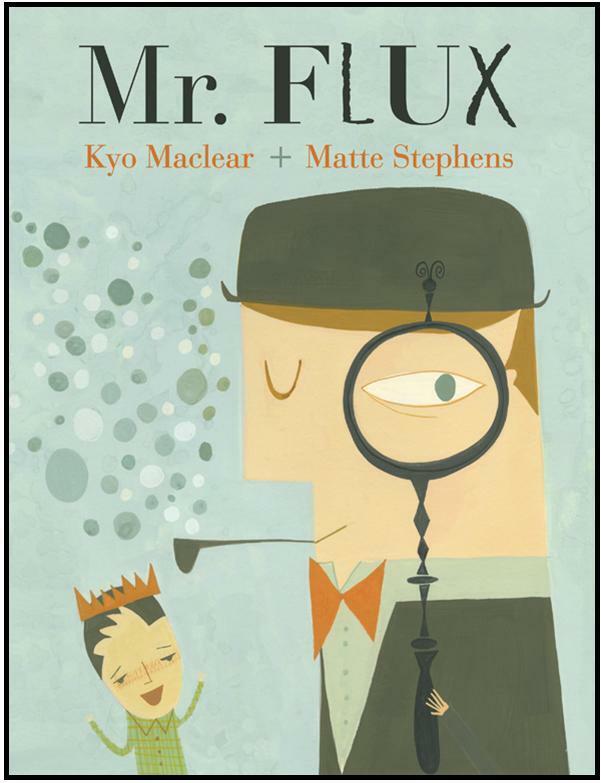 While everyone in town is busy keeping things the same--predictable--Mr Flux loves to change things up. When he has the opportunity to show Martin how special and important change can be, the future of the young man, and perhaps his entire town, could be in for a glorious life lesson. But will it stick? Can the unchangeable embrace change? I love a book that combines fact with fiction. This book was loosely based on a man called George Maxiunas who started an art movement in the early 1960s called Fluxus. This movement didn't take art too seriously--it was all about mixing things up, being creative and even a little bit silly. Essentially, it gave itself permission to break all the 'rules'. What could be better?? Mr Flux is a pretty high-text picture book and I feel it could have benefited from a pretty hefty edit. At times, the text becomes convoluted and superfluous, but the story is nonetheless well-written and the subtle messaging is glorious and typical of Maclear's fabulous work. I do think the story, therefore, would be suited to older readers. Matte Stephens' illustrations are a picture-lover's dream--textured and charming and resplendent in their colourways. They look particularly gorgeous on the book's uncoated paper.